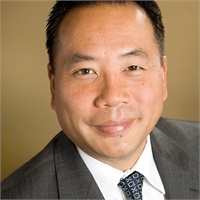 Craig Wong is a graduate of the University of California at Santa Barbara and holds FINRA Series 7, 24, 51, 53, and 63 securities registrations. He is currently an Investment Adviser Representative and has been involved in the investment and insurance industry for more than twenty years. Craig grew up working in his father's pharmacy and learned the valuable need to provide service at an early age. Being able to provide the highest level of service to his clients is not an interruption of his day; rather it is the purpose of it. It was also during these formative years that he learned how to make fiscally responsible decisions, and he uses these experiences to consult with his clients on financial matters. His ability to communicate to his clients is what separates him from other financial advisors in the industry. Craig strives to present financial ideas in a simple, concise manner that provides a clear picture of what they need to do to reach their financial objectives. Craig resides in Anaheim Hills, California, with his wife, Jacqueline, and their daughters, Kainani and Makena. To learn more about Craig and his services, visit his personal financial website at www.craigwong.com.